No, it won’t be that easy for you. First, a review of the contest…in order to address the question of whether there is a taste difference between soda pops made with high-fructose corn syrup (HFCS) versus those with made with real cane sugar. People seem to have very strong feelings that real sugar is so much better. I don’t know if I could tell the difference. So I got a plastic bottle of Faygo Rock n’ Rye (with HFCS) and a glass bottle of Faygo Rock n’ Rye (with real sugar). After all, this would really only work by tasting the same flavor made by the same company, right? My wife and I put them side by side and took turns drinking each to go along with our supper of bratwurst burgers and chips. The Rock n’ Rye made with real sugar was sweeter…by a little bit. Honestly, I could not tell a real taste difference right away. The plastic bottle seemed a little more carbonated, that’s the only real difference I could tell right away. But by the time both bottles were empty and I had had several alternating sips of each kind, I began to realize that the real sugar version was, in fact, just a little bit sweeter. However, it was not a difference that hit either of us over the head in a major way. She noticed it before I did (no surprise there). My highly individualized, non-statistical, almost-but-not-quite-scientific conclusion (based on a large sample of just one soda pop flavor): sure, real sugar makes it sweeter, but it’s not a big difference. I still have nothing against soda pops made with HFCS (after all, the glass-bottled Stewart’s flavors the arcade sells are delicious AND made with HFCS), but don’t think that using real can sugar makes soda pop “so much better”. As with most things, it is in the eye of the beholder…so long as the beholder is buying their glass-bottled soda pop at the Klassic Arcade. 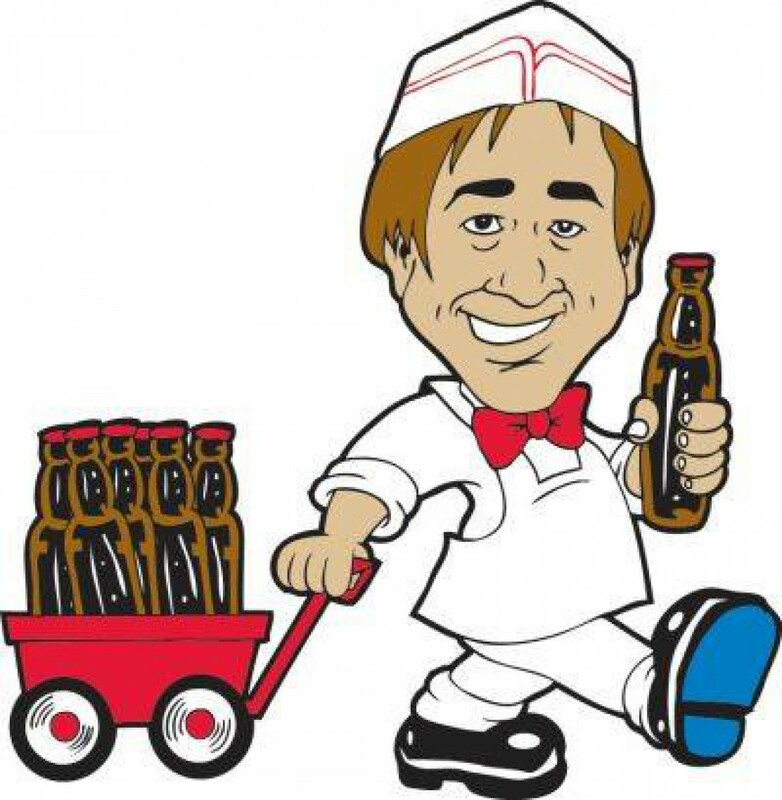 The Soda Jerk – Real Cane Sugar vs. HFCS? So one of the big things in the soda pop world is whether the soda pop is made with “real” sugar or with high fructose corn syrup. Most of the mass-marketed soda pop on your local grocery or convenience store shelf has the latter, but of course we all see the commercials for a certain kind of soda pop that’s “now made with real sugar”, and many of the soda pop brands carried at the Klassic Arcade (www.mrsodapop.com) have it labeled right on the bottle that they’re made with real cane sugar. So I ask: is there really a difference? And here I’m talking about taste only…I’ve read things on the interweb that would lead me to believe that Satan himself is responsible for high fructose corn syrup (HFCS) being in foods, and that aspect won’t get discussed. But I do wonder if there is a real difference, or is it all in the individual’s mind? So the best way to compare is to drink the same company’s product made each way, right? So I have a 20 ounce plastic bottle of FAYGO ROCK N’ RYE from the grocery store (with HFCS) and a 12 ounce glass bottle of the same (but made with real sugar) from the arcade here. Both my wife and I will compare the tastes of the two. Yeah, I know it’s a rotten job, but I will take one for the team! Let you know in a few days what our findings are. The Klassic Arcade sells 140 varieties of soda pop, and 9 of those are brewed by Stewart’s. In the last few weeks I have drank bottles of Stewart’s Key Lime, Grape, Root Beer, Cream Soda, and Orange Cream Soda. While none of their flavors would rank as my absolute favorite, every flavor of Stewart’s has been very good. Frankly, I wasn’t really expecting that much from their Grape soda pop, but when I drank it I immediately went back to those carefree days of childhood, and it was like I was holding a grape popsicle (and getting yelled at by my mom for dripping it onto something white!) on a hot summer day. The best of the Stewart’s flavors has got to be Key Lime. Talk about a departure from normal! Now I love a good lime soda pop (something about that green color), but STEWART’S KEY LIME is not your typical lime soda pop. It’s a lighter, cloudy green, and the key lime tartness is amazing without being overpowering. Evocative of a key lime pie with carbonation. On a nice warm summer day, there is nothing more refreshing! Heck, it doesn’t even have to be a real warm day…notice we haven’t had too many of those this summer? I for one am thankful. Anyway, I would probably put Stewart’s Key Lime in my top 10, maybe even top 5, overall. Stewart’s also makes a Diet Root Beer and Diet Orange Cream, as well as Black Cherry and Cherries n’ Cream. I have not yet tried any of those, mostly because I am not a fan of diet soda pops or cherry in general. But my guess is, based on how much I like the other flavors, these are probably pretty good, too. So when you’re in playing games this weekend, or just driving by, grab yourself a bottle or three of Stewart’s. The best thing is that this brand sells for only $1.25 a bottle (compared to $1.75 for most other brands). And if you ever happen to be somewhere in the area and see Stewart’s Ginger Ale, let me know, I would love to try it!